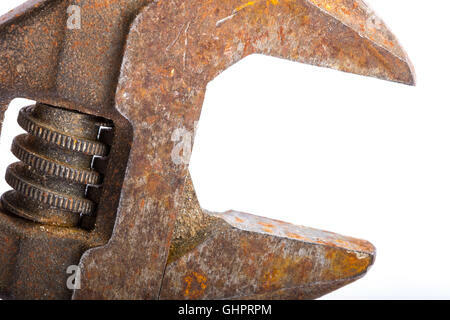 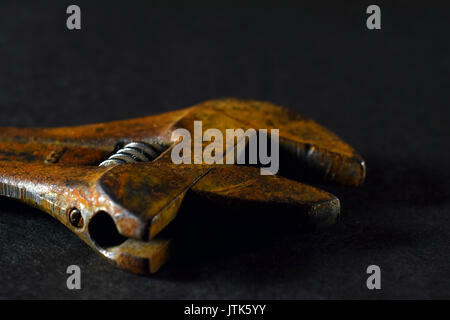 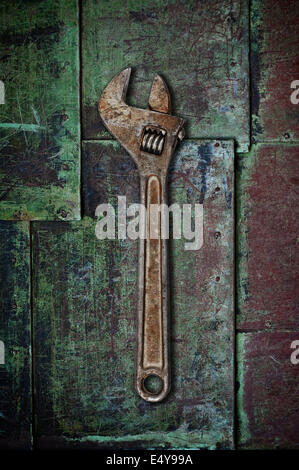 Big old rusty adjustable wrench close-up on a white background. 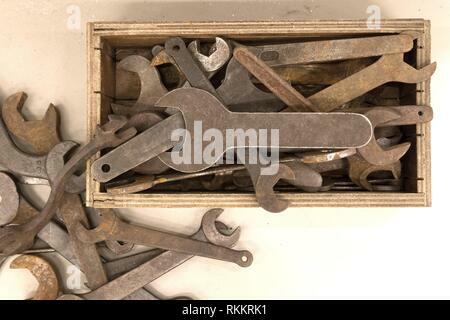 Collection of old rusty wrenches on a dirty floor. 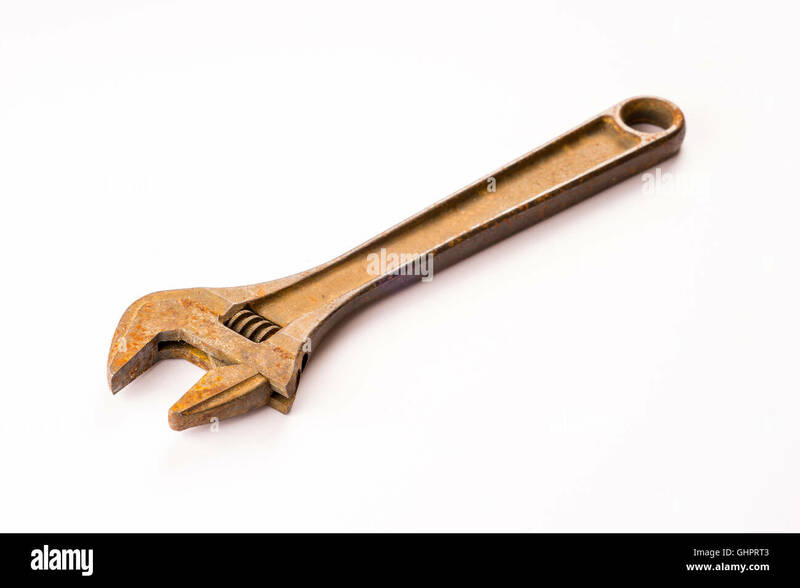 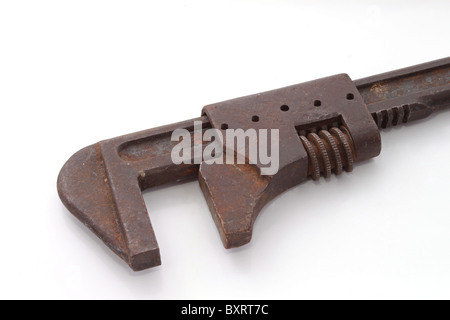 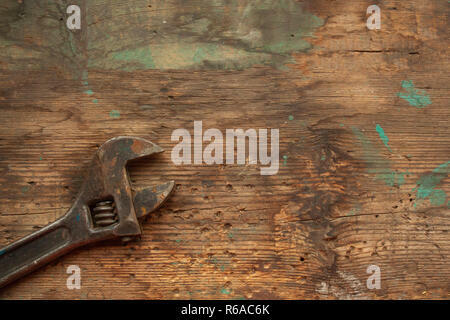 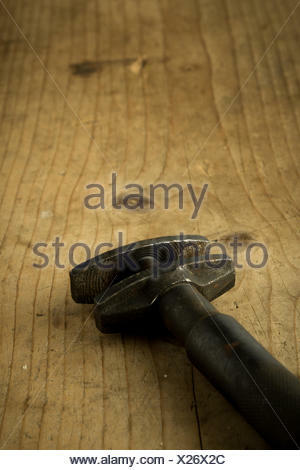 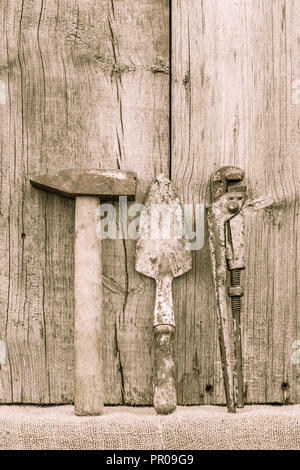 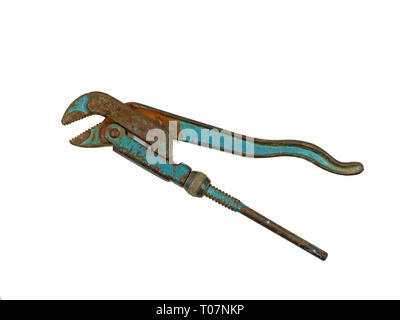 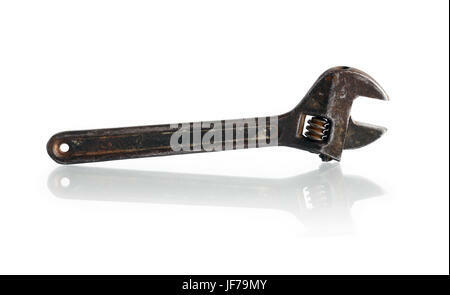 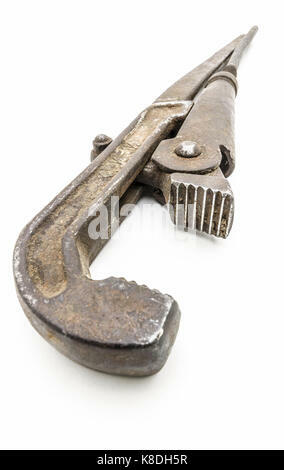 Old adjustable wrench on a plain white background.